At Lawndale Veterinary Hospital, we want to help pet owners keep their pets happy and healthy. As pets get older, we know that certain diseases may be more commonly diagnosed. We also know that pets are good at hiding symptoms of a problem – especially when the problem has a slow onset. If an animal is developing a disease or problem, the sooner we intervene to help the pet, the better the outcome can be. This is why it’s important for all pets to have an annual wellness examination. With our ‘Paws to Protect’ topic this month focusing on Senior Pets, we also want to highlight how important these annual exams are for our seniors. Many conditions don’t show up until later in life. 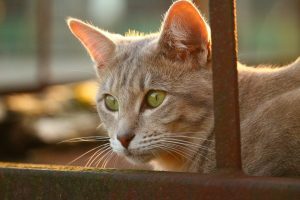 Furthermore, the conditions can be “silent” at first (which means the pet may not be exhibiting any outward signs of a problem, or the signs may be subtle and difficult to pick up). Some owners of senior and geriatric pets opt to bring their pet in for a wellness exam every 6 months to try and catch problems even sooner. Check out this list of some of the things that your pet’s veterinarian can identify during senior wellness exams, even if your pet seems perfectly normal at home. Changes in weight (loss or gain): Yes, dramatic weight loss or weight gain is often noticeable to owners. But subtle weight changes can be harder to pick up through visual exam alone. Every animal that comes into our clinic for a visit gets weighed. Did you also know that you can bring your pet by any time for a weight check? It can even be a way to get your pet more accustomed to coming to the vet clinic if he or she gets nervous. Coming in for a weight check, getting some treats, and then leaving can be a positive experience for your pet – making it easier for you to bring them in the next time! Eye Problems: Red, painful, swollen, or itchy eyes will certainly be noticeable to pet owners and prompt a vet exam. But internal eye conditions may not be as noticeable, especially in the beginning. Some changes are considered a normal part of aging – for example, lenticular sclerosis (a cloudiness to the lens that often makes owners think their pet is developing cataracts), or something called iris atrophy (where the colored part of the eye – the iris – can start to thin which usually does not cause a problem). Something really interesting about the internal structures of the eye is that some internal eye problems can clue us in to the pet having a systemic disease. For example, we can see evidence of high blood pressure in the retina (the blood vessels in the retina may be leaky or the retina can detach). Cataracts can be an indicator that a patient has diabetes. Some diseases like lymphoma or certain infectious diseases can also cause changes in the retina. Mouth Problems: Did you know we aren’t just checking the teeth when we look in your pet’s mouth? Of course we are assessing tartar buildup and taking note of any tooth abnormalities. But we are also inspecting the gums, the tongue, and all the other soft tissue structures in the mouth. What are we looking for? Things like infection, inflammation, ulcerations, and mouth cancer to name a few. Thyroid Disease: Generally speaking, cats can become HYPERthyroid and dogs can become HYPOthyroid. Hyperthyroid cats can have some characteristic findings on physical exam that clue us in to check a thyroid level: weight loss, behavior changes, a heart murmur, an arrhythmia called a gallop rhythm (it sounds like a horse galloping), and often we can even feel enlargement of the thyroid gland in the neck area. For dogs, they might have weight gain (or an inability to lose weight), skin or coat changes, cold intolerance, or sluggishness that clues us in to test a thyroid level. Heart Disease: When we assess an animal’s cardiovascular health, we check a number of things. We listen to the heart to check for a murmur or arrhythmia. We check the pulse quality to further assess the cardiovascular system. We assess blood perfusion by looking at the animal’s mucous membranes. Kidney Disease: Kidney disease is one of the more common diagnoses we make in aging pets. During a physical exam, we feel the kidneys when we palpate the abdomen. Depending on the kidney problem, we can actually feel changes in size or shape of the kidneys (and note whether the animal seems uncomfortable during the palpation). If we feel anything unusual, we would follow up with labwork and some type of abdominal imaging (x-rays, ultrasound). Liver Disease: While baseline labwork can typically clue us in to liver problems, we may also be able to identify concerns with the liver during a physical examination. 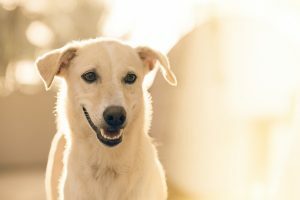 For example, an animal with liver disease may develop jaundice – a yellow discoloration that may be seen in the skin, mucous membranes and eyes. The liver may also feel abnormal when we palpate the abdomen. 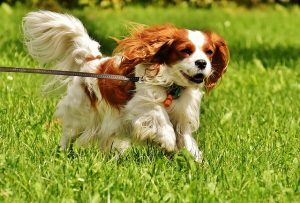 Musculoskeletal Problems: We all know that aging pets can develop arthritis – this is true for dogs and cats. A physical exam allows us to check joints for pain or stiffness, and also assess the pet’s ability to move around. Furthermore, we assess an animal’s muscle condition to see if muscle loss has occurred. With so many treatments available for arthritis, aging pets don’t have to suffer! Stay tuned for our blog next week focusing on a case study about arthritis! For some body systems like the respiratory tract and gastrointestinal tract, owners are likely seeing problems before the patient comes in. However there are also times that we may find something unexpected in these areas during a thorough physical exam. We can also find skin masses or internal masses that may not have been noticeable to the owners. 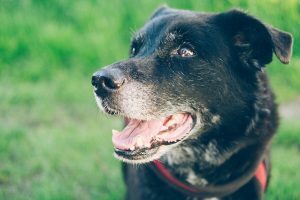 If your pet is heading into the senior years, make sure he or she has had a wellness exam sometime in the past 6 to 12 months. This is also the month that we offer a discounted geriatric work-up. During this work-up, we perform a physical exam, complete blood count, blood chemistry analysis, thyroid testing, urinalysis, chest x-rays, an electrocardiogram, glaucoma testing (dogs), and blood pressure screening (cats). Remember, the sooner we catch problems, the greater success we can have with treatments for the long run!